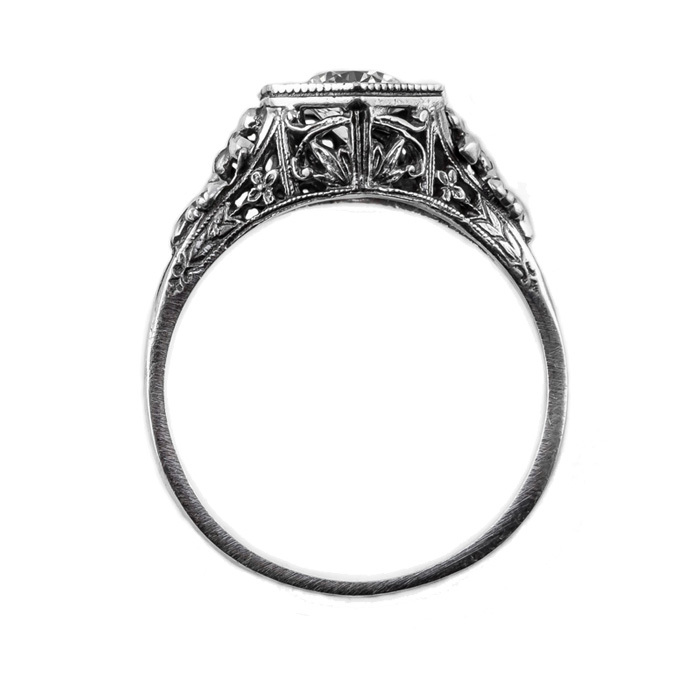 When you see this vintage inspired ring you will think timeless elegance. The creative expert designers at Apples of Gold jewelry evoke classic romance in this incredible ring. The intricate vintage details alone are amazing. Add in the floral design and the lilac amethyst gemstone and the 14K white gold and you are absolutely swept away by the beauty. Measures 5.5mm and ready to ship to your home today. Please use our ring sizing chart as a reference. A beautiful addition to every jewelry collection. 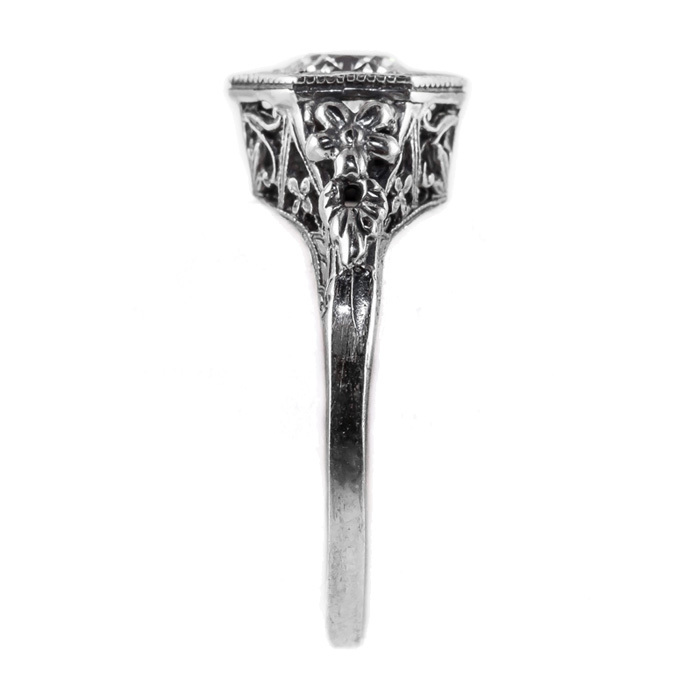 This vintage-style ring is the perfect accessory to every outfit. 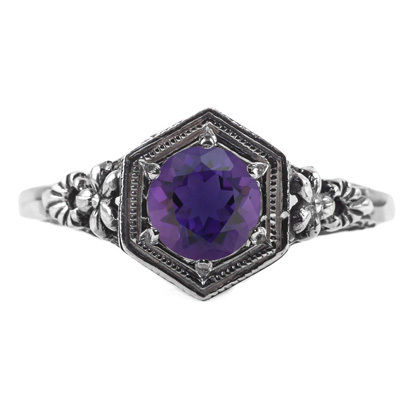 We guarantee our Vintage Floral Design Amethyst Ring in 14k White Gold to be high quality, authentic jewelry, as described above.